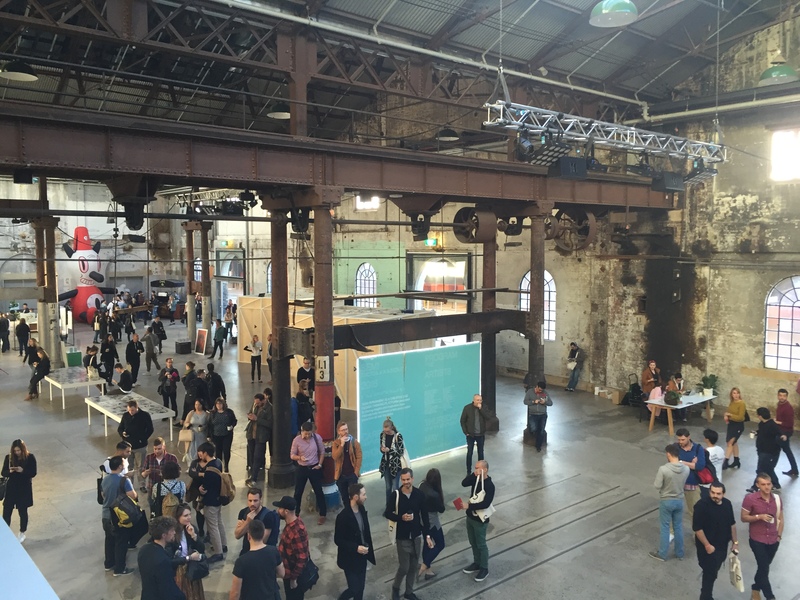 A few weeks ago I attended Semi-Permanent, a creative and design conference that brings together international and local designers, artists, techies and creative thinkers to explore the future of design, technology and the world around us. Through a series of talks, exhibitions, workshops and installations, the event provides the local creative community with an opportunity to connect and collaborate. Semi-Permanent melds together design, business and culture and for me the harmonious intersection of these elements is when the magic happens. After listening to so many inspiring speakers over two days , it was always going to be a challenge distilling the talks down to a few golden nuggets, but here are 8 things that got me thinking and seeing things in a new way. For Hector Ouilet, Google Search’s Head of Design, the future lies in developing technology that enables him to spend more time with his daughter. Teaching a technology like Siri to learn from every interaction it has with its user builds up a frame of reference, making each interaction more meaningful than the last. If technology understood the implicit side of human intention and processed information beyond the message, the steps it would take to get you from intention to resolution would be reduced significantly. If only Siri could read the disappointed tone in your voice when you missed out on securing those precious Beyonce tickets last year, this time around she’d alert you every day to make sure you got your early bird tickets. Uber’s mission is to make access to transport as reliable as running water. The company has a long way to go but with presence in 71 countries and 438 cities around the world it’s well on its way. Director of Product Design at Uber, Ethan Eismann, explained how his team develop Uber’s core products from the hub in San Francisco and expand outwards to localise products for different markets. 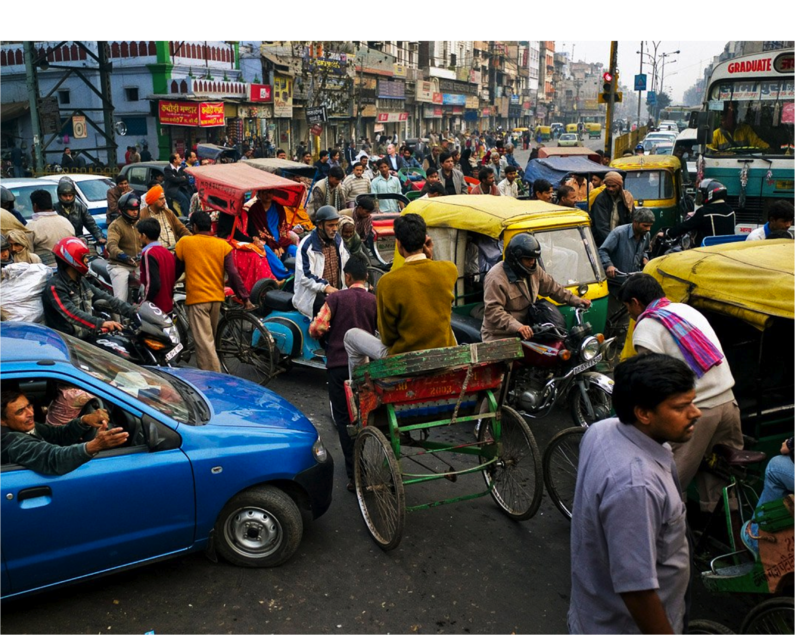 In India, where smartphone penetration is still relatively low at 39%, an SMS-based system of ordering an Uber is being developed, as well as functionality to enable a customer to take a photo of their pick-up location to help drivers navigate through India’s chaotic streets. Dantley Davis, Netflix’s Head of Design, called out how much of a bubble San Francisco is for soft-ware based companies and the danger of designing in and for that bubble. For Davis the central driving force behind every design is the consumer. His team are encouraged to do ‘man on the street’ type exercises at the local college or shopping centre where new designs and product developments are tested on the public. Davis often goes on field trips to spend time with different types of customers to understand what’s messy about their lives. He told the story of the stay at home mum who spent half her precious break time between errands just sifting through the massive Netflix library, leaving her only half the time left to actually watch something. God-mode of viewing gives users too many choices, making the decision to watch something that much harder to achieve. Anecdotes like this, combined with customer research serve to make Netflix’s design development more purposeful and effective. By 2021, five billion people globally will own a smartphone. It’s no wonder that future technological developments will centre around how smartphones interact with other devices with the growing popularity of Apple TV and Google Chromecast. With the explosion of smartphones Jon Wiley, Director of Immersive Design at Google, is certain that virtual reality technology will explode with it. As a former sceptic of the hype around VR technology, to me the key to unlocking VR’s potential lies in pinpointing its functional purpose. It has makes sense in the gaming world where it serves a purely entertainment function but what else? I began to realise the power of VR when Wiley spoke about the Google Tilt Brush, a tool for artists and creators that enables them to create visual art around them. Apart from the initial investment, as a completely new medium Tilt Brush effectively gives artists a way to create their work at no production cost and opens up new distribution channels to help them commercialise their art online. Two-time Archibald Prize winner, Del Kathryn Barton expressed her frustration when “artists are critised for repeating themselves”. Taking inspiration from indigenous art, Barton’s style is inherently repetitive in the way intricate patterns are strung together, and she has no plans to change her style to suit market demand – for one, “vaginas are hard to sell”. In a similar way, for Kevin Jenkins of Industrial Lights & Magic, the visual effects team on the Star Wars films, the goal was to take aesthetic inspiration from the original 1977 Star Wars film and modernise it for a new audience. The Force Awakens applied the same approach to building sets and ships as the original film where model kits and sets were ripped apart and put together again for a different purpose. Michael Lugmayr, founder of design agency Toko explored the importance of context in design. He proposed that without context, design meant nothing. Lugmayr grew up in the Netherlands, a country that has been meticulously designed to keep it afloat, with more than half its land mass at or below sea level. From Dutch art to architecture, design thinking focused on purpose and function is in their DNA. For Toko, they are driven by the ‘why’ rather than the ‘what’ – the purpose drives the execution. For example, when Toko worked with City if Sydney to launch a new campaign to promote inner-city walking and cycling as convenient transport alternatives they took functional road sign icons from one context, and placed it in another to convey a completely different message. Kelly Sawdon, Chief Brand Officer of the Ace Hotels Group, spoke about the importance of creating memorable experiences for hotel guests to take home and share with their loved ones. With eight hotels in the US (New York, LA, Portland to name a few) and London, Ace Hotels prides itself on creating spaces where the outside world is brought in to make each of its hotel feel unique to its location, their website’s welcome note reads: “We think that wherever you are, you should feel like you’re there.” In doing so, Ace delivers spaces where the local community can connect and own. In the lobby of Ace Hotel New York, there is a cosy co-working space with good wi-fi, coffee and a collection of interesting retailers surrounding the space for the perfect distraction. Having experienced it myself, it almost felt like the city’s creative hustle and bustle community was right working away right in front of me. 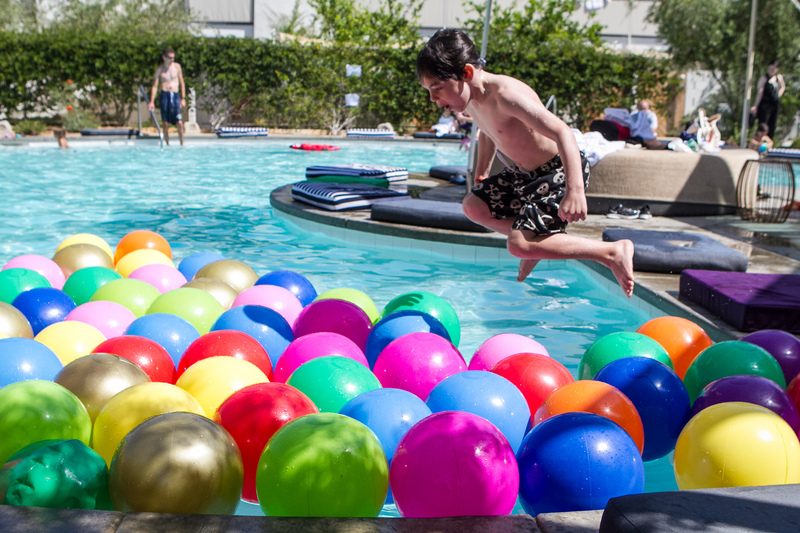 Ace Hotel Palm Springs is a completely different concept – more of a pool party vibe where they hold Crafting Communities events, “a family weekend of interactive art workshops, storytelling and s’mores” where guests can learn everything from underwater photography to growing succulent gardens. If you try and throw a frog into a pot of boiling water, it’ll jump straight out. But place a frog in a pot of water and gradually heat it up to boiling point and it won’t budge, slowly melting away. Morbid. If you hadn’t heard about this analogy, then join the club. Vince Frost, founder of Frost design collective and Andy Bateman, founder of brand consultancy Everyone, attempted to relate the boiling frog to how businesses and brands thrive and survive today – and surprisingly it made sense. When things change around use we don’t always notice until it’s too late. A brand like Polaroid failed because it relied too heavily on instant film to drive the business and didn’t evolve or diversify its revenue model despite the rapidly developing digital innovations that were happening around it. And then there’s Netflix. Until 2004, Netflix’s mission was to become the world’s biggest DVD company. But with internet speeds increasing dramatically, streaming was inevitably going to become the best way to deliver entertainment. With that market shift, Netflix’s plan was to continue its DVD service as a way of building up a massive customer base before introducing them to their streaming service which started out as just an ‘add-on’ to their core DVD-by-mail service. And voila, our lives as we know it would change forever. Next Next post: An evening with Bill.